Continuing from where I left off 3 weeks ago, EMR – The Word on Street – Part 1, most patients tend to have very unique perspectives about the EMR technology. Still not accustomed to the change like most physicians, patients are more intrigued and fascinated by the drift towards automated healthcare. While I have not had the chance to reconnect with the group, I had not quite finished the account of our detailed discussion on health IT and the wondrous world of electronic medical records. I was able to establish that the patients in the group did not have any inhibitions towards the electronic medical records technology. Even when invoking the subject of privacy and health information exchange, most of the group members felt secure, citing that they ‘trusted their doctors’. Despite being an ‘awww’ moment, I was surprised at this response. One member quoted, “If my doctor is using an EMR, I expect he has gone through all the hurdles to make sure that my information is safe and secure. They are professionals and they know how to do their job.” That statement summaries what most patient feel about health IT adoption, instead of being personally concerned about the security of their health data, patients expect physicians to play that role for them, as professionals. While providers plan for such risks and unauthorized disclosures, electronic medical records change the job description significantly. Digitized data is more susceptible to theft. Not only is data exposed in its physical environment but also vulnerable to cyber theft. However, the problem is that most providers tend to rely on basic firewalls and commercial encryption software available at economical rates, while others simply leave the security up to their hosting parties and EMR vendor. Given the amount of recent breaches, such methods are no longer acceptable. Ensuring patient safety and maintaining confidentiality should be one of the top priorities for physicians. With health information exchange (HIE) in sight, physicians should look to train their staff to work within such an environment whilst planning for contingencies. However, despite their trust in provider professionalism, the group did not take lightly to the possibility of physicians selling their patient’s personal health information to disease control bodies, etc. even when de-identified. I had to assure one of the group members that it would be a HIPAA violation and against the ‘rules’ to sell patient information without prior consent. One patient joked about reading the fine print of every medical document from henceforth. The healthcare automation process is in full gear, with the EMR adoption rate close to 60%. With sights on affordable and accountable care, providers have become much receptive to change. Health IT offers improved efficiency at reduced costs through better information management. Electronic data interchange and practice availability online are necessities today as care move towards more accessibility. However, this change has not put an end to resistance. 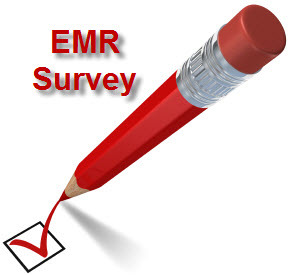 Some physicians still see EMR as a detractor and feel that they are better off with paper. Electronic medical records have been commonly branded immature and inefficient. Some providers feel that using an EMR sacrifices care quality and affects patient-doctor interaction. “I could write a note within a minute, while it takes me more time to complete the documentation on an EMR”, says one practitioner. The shift to electronic medical records has been substantial and despite the increase in technological awareness, providers struggle to utilize EMRs in an optimal manner. Years and years of practice have made physicians more efficient with paper records, while electronic medical records are still comparatively new and alienating. “Let me clarify, providers are not adverse to technology. We had a wave of physicians adopting practice management systems to improve their scheduling, resource allocation and billing process. It was much simpler as providers knew what they were getting and how it would affect their practice. Whereas, with EMR everything is up in the air”, says one health IT consultant. Practice management systems are popular with most practices within the US. As it focuses on the administrative tasks alone, providers do not have to worry about its effect on the care delivery process itself. Many physicians would also argue that the efficiency and productivity are administrative targets and care should not be measured in that way. “I don’t have an office manager at the moment, so I do my own scheduling and billing using the practice management software (read more). It is simple to get the hang of it unlike most EMRs that I have encountered”, says a single provider based in New Jersey. Why to Outsource Your Medical Billing? Whether to outsource the billing operations to an independent medical billing company or opt for an in-house billing department is often a dilemma faced by most physicians. Looking at the basic principles of economics, the law of comparative advantage states that it is always beneficial to provide or avail a service that optimizes the cost structure. Providers should apply the same principle when faced with the aforementioned dilemma. Physicians today are inundated with various challenges posed by modern day regulations in the healthcare industry. Thus given the time constraints, managing the day to day practice operations becomes increasingly cumbersome, especially without an efficient billing manager. Recent surveys also indicate that hiring additional resources for billing can result in an increase in practice expenditure and overheads, especially for smaller practices. However, outsourcing billing operations to third party medical billing companies is proving more effective for these practices, with providers able to benefit from experienced and knowledgeable resources at an affordable cost – usually a percentage of the collections. Nonetheless, experiencing reduced costs is not the only benefit of outsourcing your billing. There are often cases where claims have been rejected because of errors in coding along with unnecessary delays. Having a specialist biller dedicated to streamlining the revenue cycle can reduce such errors and ensure quicker turnarounds, ultimately improving practice cash flow and profitability. According to a study conducted by software advice, an outsourced billing service is likely to increase collections by up to 10%. The chances of fraudulent occurrences in-house are eliminated, when a third party is contracted to manage such operations.. As these companies charge a percentage of the actual collections for each provider, they need to ensure timely and efficient collection in order to bill higher. Managing these operations for multiple clients, they can easily spot discrepancies in financial workflows and provide detailed performance reports to each client on a regular basis. Today, most established billing companies also provide comprehensive financial analysis on a periodic basis and recommend strategies to enhance profitability. Despite what most EMR vendors may want you to believe, there is more to budget for than monthly costs along with the initial training and implementation fees. While costs have decreased significantly over the last few years, most EMRs still require a small fortune. Many providers still rank cost as the highest in hurdles to adoption and while the government may incentivize EMR adoption through meaningful use, the initial investment is still to be paid by the provider alone. What most providers do not account for is the opportunity cost of researching and analyzing the EMR product. While for some it may just translate into free time and hectic schedules, for others it may require sacrificing available time slots for patients, resulting in business loss. One should also include the cost for visiting onsite references, hiring staff overtime for analysis or consultation fees. Most EMR vendors are able to provide hardware specifications for optimum results. While Software as a Service (SaaS) model for EMRs may reduce the upfront spending, those shifting from paper will still need to set up exam rooms and nurse stations. Recognized EMR vendors often work with hardware vendors to provide their clients with discounted deals and bulk buys. EMR users are required to pay licensing cost, either upfront for a client server model or on a monthly basis for SaaS based product. Physician’s assistant and Nurses may also require separate user licenses apart from the provider’s own. The upfront licensing cost for a client based server can range between $5000-25000 depending on the solution and user base while some hospital based vendors may even charge in excess. SaaS based EMR vendors usually charge around an average of $500 per license. The training and implementation costs can vary significantly from vendor to vendor. Most EMR vendors prefer to train providers through remote desktop access, because not only is it more cost effective but flexible too. Sessions can be configured to suit the user requirements, while personal sessions can be set up at the discretion of the user, independent of location. However, most practices still prefer onsite training which may cost more but help smoothen the implementation process itself. Training hours can be billed somewhere from $100-300 dependent on the method and vendor. Hospitals and large care corporations are able to hire dedicated staff to provide ongoing assistance when and wherever required. However, EMR vendors especially for SaaS based products are able to provide offsite support through telecommunication and online portals. This method is more cost effective in most cases and one of the major reasons driving the adoption of SaaS based EMRs. These costs however do not include hardware maintenance in most cases which then would have to be arranged independently by the provider if required. It is important for the provider to consider other miscellaneous expenditure that may or may not be required during or after the EMR implementation. These can include hardware and software upgrades, new employee training, additional feature requests and customizations. 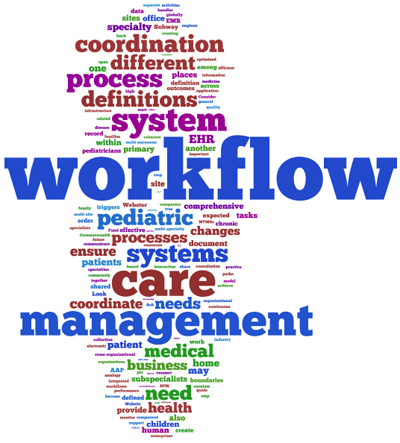 EMR Workflows – How Essential are They? Long gone are the days when an EMR was recognized as a mere documentation system. Electronic medical records over a period of time have evolved into EMR workflow systems. The workflows allow for EMR customization which reflects on practice clinical needs, personal preferences and business requirements. All electronic medical records have workflows but the more effective EMR is the one which defines its workflow for optimum output. These definitions reduce manual navigation for the user and increases productivity. Ultimately, the effect of workflow management technology on productivity is pragmatic. A recent survey was conducted on the impact of an EMR workflow management system on usability and productivity in numerous practices. The results were based on (revenue, billing, charges, visit, quality review, staff/provider ratio, charting time and refill turnaround time). The results show Increase in revenue, billing, visits and visit charges, and quality review scores while equally there was a decrease in staff/provider ratio, charting time, and phone message and refill request turnaround times. The survey suggests that the combination of workflow management and patient charting can greatly increase user satisfaction, return on investment, and practice productivity. Another survey conducted by AMIA describes how improving EMR usability can help prioritize improvements in EMR workflow based on human factors engineering. Assessing the usability along with proposing required amendments in EMR systems was one of the fundamental objectives of this approach, which would eventually improve operations and streamline practice workflows. There were various ways of approaching this development, such as conducting studies that would involve physicians to quantify time spent on EMR based clinical documentation. Another way was to ascertain the amount of change in existing workflows when utilizing electronic medical records, by carrying out a research study of physicians migrating to EMRs from paper records. Similarly, a number of physicians were selected to identify and evaluate the factors influencing human behavior and reaction to improve the usability of EMRs. Lastly, another method incorporated a task analysis to replicate alternative approaches, along with establishing opportunities to improve functionality. Studies were implemented in series fashion in order that insights from one study would serve as inputs to the next. For example, the first method illustrated that majority of the physicians were trying to document clinical findings and other documentation during the patient encounter. However, it was determined that regardless of the approach used for clinical documentation; physicians would be unable to document tasks performed during the actual encounter. Therefore, the groups began to focus on the development of systems which allowed clinical assessment and tasks performed to be recorded during the patient encounter. In the end, the aforementioned methods proposed several different types of projects that would enhance the usability of EHR systems. There are very few EMR’s in the industry that produce such productive workflows. EMR workflows are all about the user, creating the right workflows, which are well defined and effective at the point of care. With the increasing popularity of Accountable Care Organizations (ACOs), the quest for affordable care may not seem too far. Health IT has helped transform the care structure, enabling physicians to become more responsive to change. Today, almost 55% of physicians have access to electronic medical records (EMRs) helping engage other concerned parties across the care continuum. However, the support for this change is not free of personal concerns. The healthcare reform focuses on two key elements, quality and affordability of care. While most professionals will resonate with these principles, there is some uneasiness regarding the course laid out by the government. “While the consequences may be unintended, the current healthcare reform clearly favors hospital based physicians over private practices. It is increasingly becoming difficult for solo practitioners to work independently. Reimbursements are low, costs are high and then there is the regulatory pressure.” says a Practice Manager in New Jersey. The last few years have also shown a trend amongst large healthcare corporations of acquiring smaller independent practices. Competition is rife, and while independent physicians struggle to keep up with business expenditure, hospitals and health corps are moving on to electronic platforms with EMRs and independent health information exchanges (HIEs). “It is creating a technological gap. Solo practitioners are still struggling with EMR adoption while hospitals have started to receive their return on investments.” says one industry expert. A significant percentile of physicians reports a decrease in overall revenue with the economic depression. Revenue cycles are drawn out with claim complexities further jeopardizing business health for solo providers. “ACOs are being slated as the next generation of healthcare organizations. Practices that fail to embrace the concept and the technology will soon become dinosaurs.” says a Hospital Administrator. Health IT is transforming care by incorporating technology and real-time health information exchange. These modernized methods of recording and sharing medical information is allowing the healthcare structure to become more responsive to the need of the general populous. We have already witnessed the impact of electronic medical records (EMR) and clinical decision support systems in healthcare. However, in order to complete the care cycle, everyone across the care continuum including the patient, must be involved in the care delivery process. Patient engagement has been a major target for the government over the last couple of years. This is the reason why healthcare authorities are pushing health education material for patients whilst encouraging the development and use of patient portals. Most industry experts believe that by establishing a connected care network, medical professionals will be able to extend their care to patient homes, changing the structure of care delivery. The blue button feature was initially released for the military, allowing veterans and military personnel to access their health records. However, with ONC set to push patient engagement, the blue button feature is now likely to be opened for public use titled as ‘Automate Blue Button Initiative’. “We simply can’t improve a patient’s health without involving them. They need to be educated about diseases and need to have instant access to relevant information. After all it is the patients who are in control of their health.”, says a New Jersey based physician. Peter Levin Veteran Administration’s chief technology officer and Blue Button developer explained that the blue button project was a rare example of the American government doing something only it could do. ONC’s first step will be to develop standards governing the blue button project. This should eventually allow patients to download and share their health information in a more secure manner. Patients will be able to request physicians to transfer information from EMRs to their personal health records, along with the possibility to forward this information to referral providers and personal emails.